Below you fill find all funeral homes and cemeteries in or near Gainesville. Zip codes in the city: 65655. Ozark County funeral flowers can be purchased from one of the local funeral shops we partner with. It was revealed on April 26th, 2018 that Jenny M Redger passed on in Gainesville, Missouri. Redger was 91 years old and was born in Cimarron, KS. Send flowers to express your sympathy and honor Jenny M's life. It was reported on September 5th, 2015 that Wallace Joseph "Wally" Plante died in Gainesville, Missouri. Plante was 86 years old and was born in Providence, RI. Send flowers to share your condolences and honor Wallace Joseph "Wally"'s life. It was noted by Arizona Republic on July 5th, 2015 that Sandra J Ross (Williams) perished in Phoenix, Arizona. Ms. Ross was 76 years old and was born in Gainesville, MO. Send flowers to express your sorrow and honor Sandra J's life. It was noted by Arkansas Democrat/Gazette on March 26th, 2015 that Elbert Norvin "Bull" Durham died in Fayetteville, Arkansas. Durham was 97 years old and was born in Gainesville, MO. Send flowers to share your condolences and honor Elbert Norvin "Bull"'s life. It was reported on October 2nd, 2013 that Janet Kay Gilles (Phillips) died in Mannford, Oklahoma. Ms. Gilles was 67 years old and was born in Gainesville, MO. Send flowers to share your condolences and honor Janet Kay's life. It was revealed by Oregonian on May 26th, 2013 that Reba H Bean (Hambelton) perished in Gresham, Oregon. Ms. Bean was 87 years old and was born in Gainesville, MO. Send flowers to share your condolences and honor Reba H's life. It was noted on January 16th, 2013 that Wayne Sr McGee passed away in Lewiston, Idaho. McGee was 76 years old and was born in Gainesville, MO. Send flowers to express your sorrow and honor Wayne Sr's life. It was disclosed on March 11th, 2012 that Lillie Anna Smith (Cox) passed away in Amarillo, Texas. Ms. Smith was 84 years old and was born in Gainesville, MO. Send flowers to express your sorrow and honor Lillie Anna's life. It was disclosed on September 16th, 2002 that Sharon Schurr (Carter) died in Corona, California. Ms. Schurr was 76 years old and was born in Gainesville, MO. Send flowers to express your sympathy and honor Sharon's life. It was noted on April 11th, 2002 that Hazel K Mounts (Peterson) perished in Gainesville, Missouri. Ms. Mounts was 97 years old and was born in Colona, IL. Send flowers to share your condolences and honor Hazel K's life. Gainesville is a city in Ozark County, Missouri County, Missouri, United States. The population was 632 at the 2000 census. 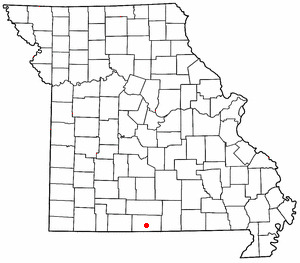 It is the county seat of Ozark County, Missouri County . . . Listing all funeral homes in Gainesville, Georgia so you can easily send flowers to any location (same day delivery) or find any funeral service. Find a map, directions and more for Clinkingbeard Funeral Home in Gainesville, MO. We work with local florists and flower shops to offer same day delivery. You will find budget sympathy flowers in Gainesville here. Our funeral flowers are cheap in price but not in value.